North Sea Plastics convection ovens are designed specifically for use in orthotics and prosthetics. 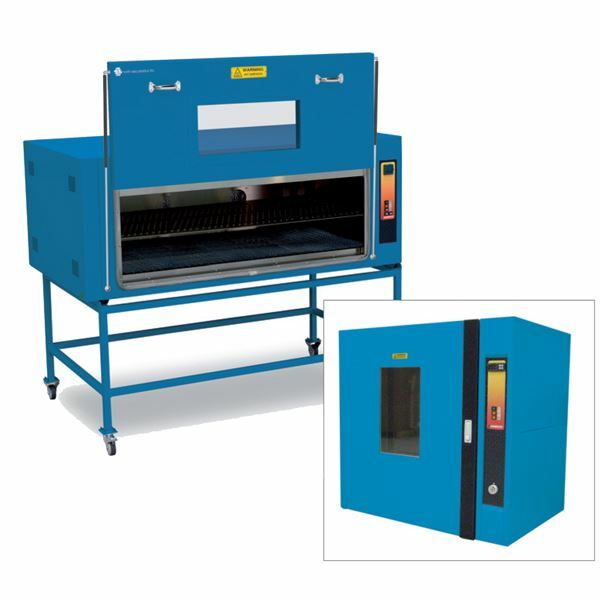 Utilising mineral insulated heat elements, and a rear mounted fan system, they provide optimum air circulation for a uniform heat and consistent moulding results. Accurate digital temperature controls ensure even heating across the oven support shelf, providing even heat distribution across the entire sheet of copolymer and homopolymer polypropylene. Ceramic thermal insulation assists to stabilize oven temperature within 1⁰C. The North Sea Plastics Thermoplastic Heating Oven for orthotics features a 200mmx 200mm multiglazed window in the door. The North Sea Plastics Thermoplastic Draping Oven for prosthetics features a 240mm x 400mm window and lighting in the chamber. Manufactured to the highest standards, these ovens combine industry knowledge and experience with current technology. This product is not available for purchase online. Contact OPC Health on 1800 809 635 or pcoleman@opchealth.com.au for additional product information or to receive a price quotation.